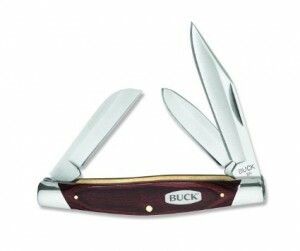 Buck Knives do not need any introduction when looking for a quality and reliable pocket knife. The manufacturer stepped into the “pocket knife” industry very long ago. Buck 371BRS Stockman is representative among pocket knives and steps in to help campers, picnic lovers, craftsmen and even average individuals who need a small knife every once in a while. The pocket knife carries the manufacturer’s solid standards and does not disappoint the audience. Furthermore, just like most other products delivered by Buck Knives, it comes with a lifetime manufacturer’s warranty. There are not too many brands out there to provide such a high level of confidence in their products. The Stockman model comes with three different blades. Besides, they are all identical in construction and durability. They are made of 420HC stainless steel. The material might look thin, but the increased strength provides access to constant operations without any wear and tear. At the same time, the material characteristics allow thinner blades, which add to the lightweight profile. The handle aims to be just as durable. While it is entirely made of plastic, users benefit from a high impact composite that will maintain its integrity overtime. Everything about this knife is guaranteed for a lifetime, so one can only imagine how tough the construction is. The Stockman pocket knife is ideal for detail work, as well as clean wide cuts. Blades are differently sized, so each of them has specific uses. The clip point one is excellent for small details, while the large one ensures clean and large cuts. The middle solution allows you prepare food on a picnic or perhaps skin your game after a hunting session. Despite the small size, this pocket knife can be just as efficient as a large scale one. Besides, the lightweight profile guarantees for an easy maneuverability, with no muscular pressure. With not less than 120 customer reviews, Buck 371BRS Stockman is obviously a great piece of work. 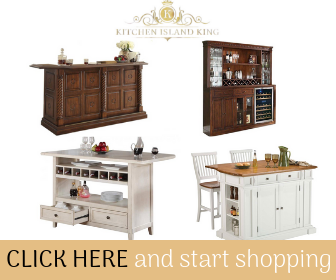 People buy it for more reasons, so figuring your necessities can help in making a wise choice. The 4.3 stars (out of 5 stars) underline its reliability, as well as the fact that it does raise to the expectations. While 95% of all customers are happy with the knife, small complaints here and there are perfectly normal too. A user is unhappy to see that Buck knives are now made in China. However, he agrees that quality standards have pleasantly surprised him, so the manufacturing location becomes irrelevant. In the end, this model does stand up in the crowd. It costs nothing and can do a lot of things. Cost efficiency is the key to a smart decision, but its features are just as handy. I have bought the 371 BRS in 2002, not to use, but to hold in my hands and admire. Each blade has absolutely perfect grinds, the sheepsfoot is perfectly straight, the spey’s is a singular curve, and the clip is a work of art. Both sides of each blade are ground perfectly, each side mirroring the other. In 2002 I paid $26, today’s price is a lot lower, but I had the privilege of hands on experience of comparing several of these, and except for the color of the wood, all were identical. Again, I do not use the knife, but take it out occasionally to look at. The knife I use is the 301 BKS, which I bought around 1970. This was the old model, which has two springs, a glued emblem and brass spacers. I removed the emblem and roughened the plastic, which is now identical to buffalo horn. I also thinned the blades with a brushed finish. It approaches custom in quality. This knife is used, but because it is not replaceable, I use it sparingly. These are my little treasures.